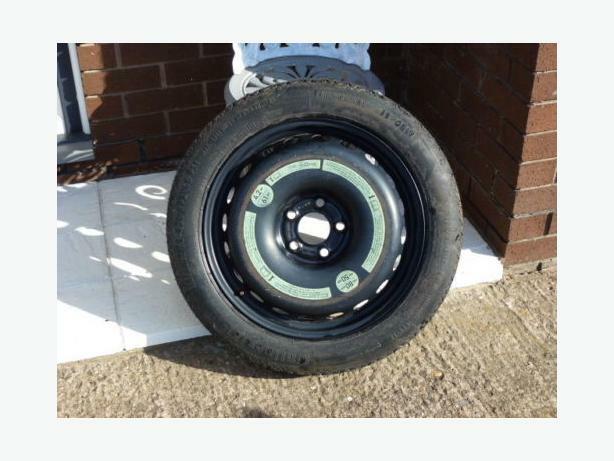 For sale my never been used BMW Spacesaver Spare wheel with 125/80/17 tyre. I purchased this for my BMW E93 M sport convertible after taking off my Runflat tyres but have now sold the car so no longer required. Fits BMW E46 or E90 3 Series or E60 5 series should fit other models with oem 18 or 19 inch wheels with the larger M Sport Brake calipers. Please note that the more common available 16 inch BMW Spacesaver will not fit the M sport as will not go over M Sport calipers and the rolling circumference is wrong hence this being the correct BMW part number for M models and much rarer availability.